First draft by @roketronz, final draft and editing by @pfque_ . First of all, vote for Okhlos! It’s been a fun few posts. We learned a bit about history and Greek myth, and just how silly Hero abilities can be! We’ll probably do another post on new Heroes further on down the line, but it won’t be for quite some time. Well, without further ado, here are today’s new Heroes! The name’s a placeholder, but this dude totally isn’t. He doesn’t have much to do with ancient Greece – at least not until we find some way to shoehorn him in – but we really like his special ability: he briefly freezes enemies in places! We were able to implement his ability pretty quickly as we used a little work around we had set up when we made King Midas. Midas turns enemies into gold, so in order to make that work we had to create states that discarded the enemy sprite’s color information and tinted them gold. Since we had this workaround already set up, it hardly took any work to create a frozen state that turned them blue! Epizelus is an obscure historical reference… as obscure as it gets, really. (Hint: He’s from a little founding work of Western history… The Histories.) His may be the first recorded case of a conversion disorder or PTSD – he went blind in the middle of battle for no apparent reason. Every time one of your units lands a critical hit, everyone in the mob heals up a little! Neat! Gerana, also sometimes known as Oenoe, was the queen of the Pygmy folk in Greek Mythology. She bragged she was even more beautiful than Hera herself, and, well, guess what happened to her? That’s right, the same thing that happens to most prideful and insolent mortals who mess with the Greek gods – she was turned into animal. If you haven’t seen the movie (and we very much envy you that!) and you’re not up and up on your Greek history, you should know that Themistocles, despite his funny name, was an extraordinary Athenian general and politician. Also he probably had one of the silliest hats in all of Greece! 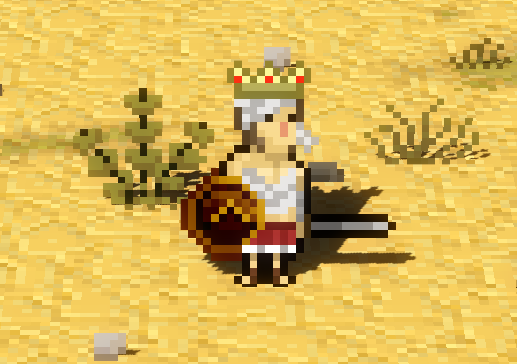 In Okhlos his special ability will highly increase your chance to score critical hits! Try having both Epizelus and Themistocles in your mob to combo up for some crazy effects! 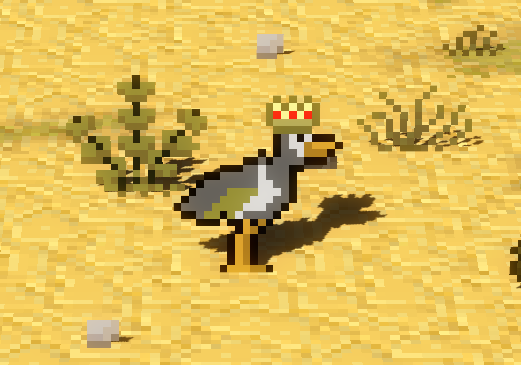 Narcissus was already in the game, but we didn’t feel his ability was cool enough, and it didn’t really work very well after all the changes we’d made to the gameplay. So now this handsome hunk has a brand new ability – with his mirror he’s not only able to reflect his own beautiful face, but also enemy attacks! …Perhaps we made him too cool. Well, that’s it! 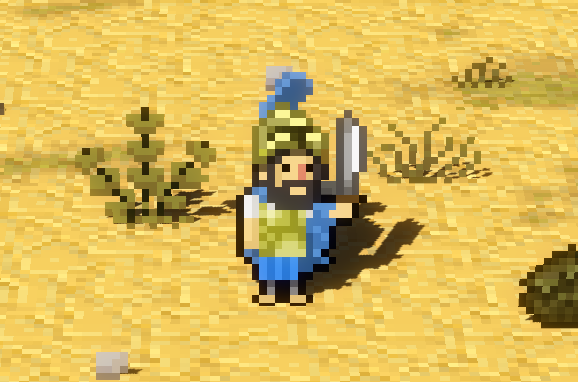 That wraps up our Four Part Spotlight on Okhlos’ New Heroes™! Look forward to Kings such as Ptolemy I and Priam, and legends such as Ajax and Andromarche! Also, if you have any suggestions for new Heroes, please feel free to drop us a line or comment below!